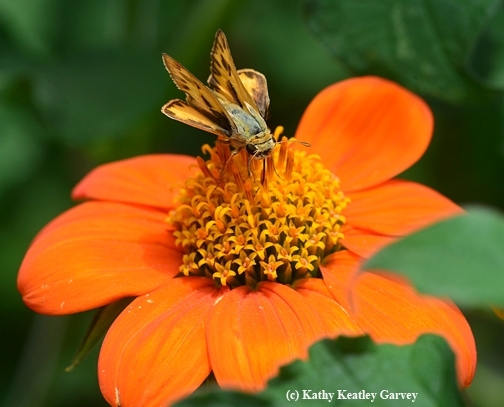 If you have Mexican sunflowers (genus Tithonia) in your garden, you can expect a diversity of insects--and not just honey bees. 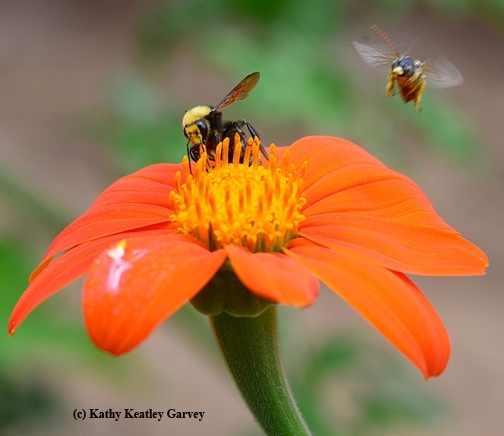 Lately we've been photographing all the insects that visit the Tithonia in our bee garden. 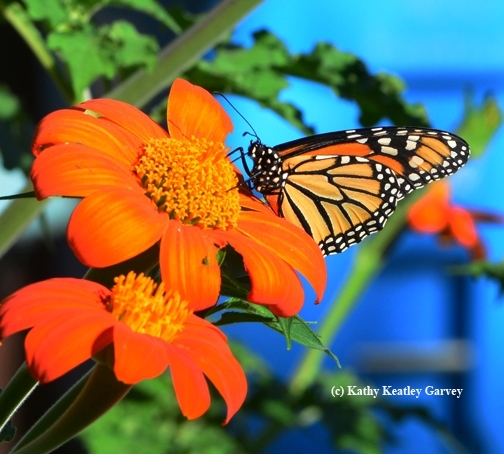 They include butterflies (including monarchs, Gulf Fritillaries, skippers and cabbage whites) bumble bees (Bombus vosnesenskii and Bombus fervides, formerly known as Bombus californicus), sweat bees, leafcutter bees, long-horned bees, praying mantids, honey bees, carpenter bees, and yes, flies (green bottle fly). 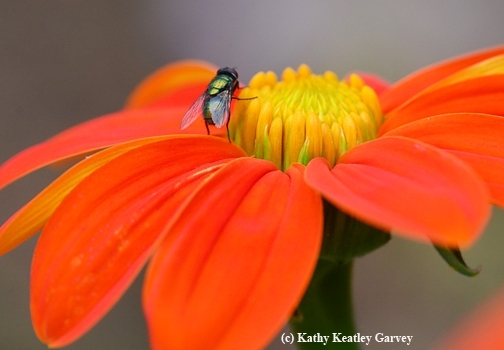 The Mexican sunflower, an annual in the sunflower family, Asteraceae, originates from Mexico and Central America. 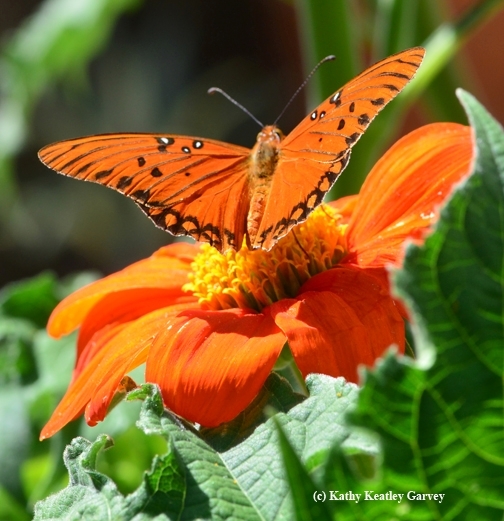 What's good about the Tithonia--besides its sizzling color and its ability to attract a diversity of insects--is that it's drought-tolerant. That's especially important as we thirsty Californians endure our worst-ever drought. We grew our Mexican sunflower (Tithonia rotundifolia) from seed, and it should bloom all summer. Already it's reaching NBA basketball-stature--topping seven feet in height. We may have to set up a orchard ladder in our bee garden on our next photo shoot! Keatley, Your photography and notes are perfect for me. Every day I look forward to whatever you're sending. Not only are you talented but you obviously know your stuff. As an apartment dweller who donates time to Oakland's gardens I've learned what a gift gardens are to the community, so I appreciate what you're helping us all learn with your blog.